Pisano lived here between Avenue A and First Avenue for nearly 40 years. You probably saw him sitting outside, the sounds of Sinatra coming from inside the apartment that people often mistook as some kind of store. When that happened, he often invited people inside for a look around. One recent evening, two women strolling by stopped and stepped inside. “Come in; satisfy your curiosity,” he said. Later Mr. Pisano explained that he gets many such visits every day. And each time, he says, he gets the same reaction. As the curious step into the recesses of the space, they’re startled to come upon a bed, a kitchen and a piano. It becomes apparent that this is no shop. It’s Mr. Pisano’s home. He leaves the front door ajar ... Passers-by peer at a collection of unusual items — like a Bill Clinton doll on an antique model boat. Nothing is for sale, though he estimates he gives away 10 to 12 trinkets every day. Pisano moved into the space in 1978. 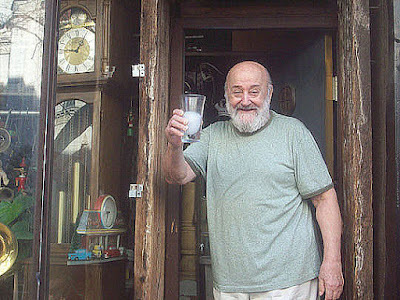 At the time, Pisano, a musician and former merchant marine, rented three spaces: the storefront, the apartment above it and the store next door, where he opened a cafe. He paid $150 a month for each, per the Times. He also raised his two children, Anthony Jr. and Antoinette, here. Marty Wombacher paid a visit to Pisano's home for this blog post in 2012. As Marty wrote: "He's one of the nicest guys you'll ever meet." Pisano's nephew launched a crowdfunding campaign to help pay for funeral expenses. Everyone who knew him called him “Tony.” But for me it was “uncle Tony.” He lived his life simply and didn’t gather much monetary savings. His wealth came from love and compassion for his fellow human beings and sharing conversation. As his remaining family is trying to pull together to fulfill Anthony’s final wishes. It is a very difficult task to afford a proper burial and memorial for him.
. . . going to be missed -- an understatement. Very sorry to hear this. 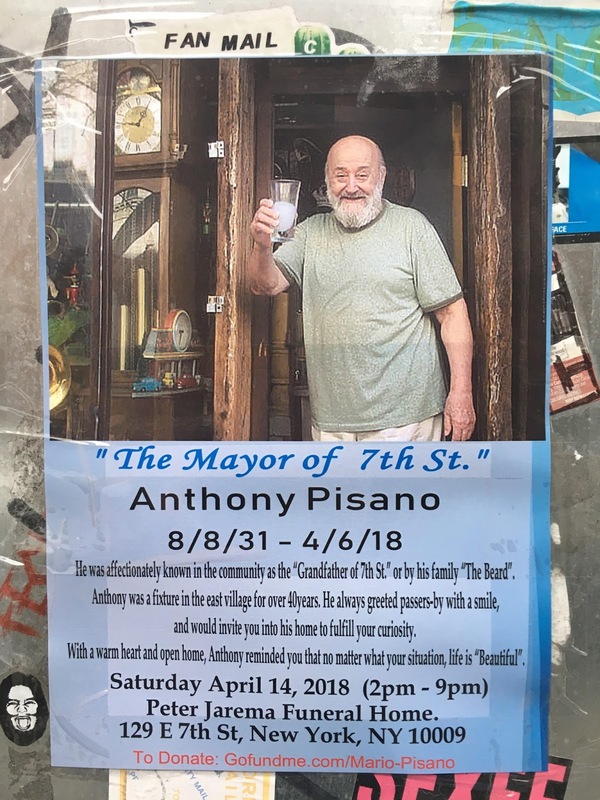 Another of the fantastic people who made the East Village such a great place to live. He will be missed. Always liked walking by his window and being reminded that this used to be a neighborhood of nonconformity and there were still a few bright lights around. He hasn't turned on the neon lights in ages and I knew something was up. May he rest in peace. aww I loved that guy. I went in there a few times. Sounded like a really nice guy. Wish I could have had the pleasure of meeting him. Rest in Peace Anthony. You were one of a kind and a good friend for decades. You will be missed. . .
Hey, T-O-N-Y... you comin' out?! Ok. See y' latah. I lived next door to him for five years - always so happy and welcoming. He added so much character and warmth to the neighborhood - I know he will be missed dearly. RIP Anthony!! He will be missed. RIP Tony! Possibly the nicest person I've ever met! But he also lived in the EV in the 70s and 80s, so he knew how to take care of himself. Had a friendly, humorous voice, like it was just a matter of time before he laughed. I enjoyed listening to him greet people (or me) from across the street: "Hey, babe, how are ya?!" Big, genuine smile. Happy to see you. He was appreciated in his time, and appreciated his time -- lucky, great guy! RIP, Tony! I visited uncle Tony often. And her would talk of many times and stories of him and my dad . They both loved each other very much. I a, coming tonight to respect my uncle. And please know in his legacy that he has many family members left. 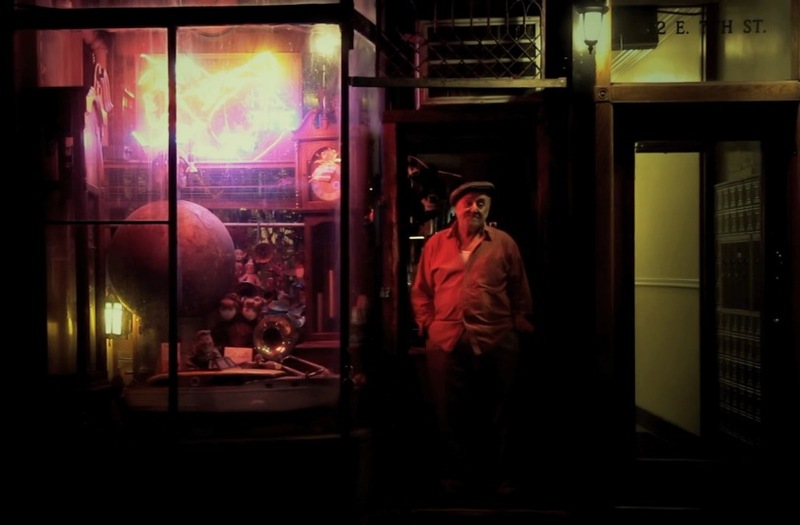 i'm sure that when i was a kid i must have wandered into his 'store' at some point, as i was drawn to stores like his on east 7th, st. marks place, east 9th and thereabouts, and maintained at least two good friendships from those storefronts full of curiosities for years afterwards. it makes me sad to think that i was so close to such salt of the earth and have no recollection of it if i recognized it at all at the time. people like him seem to belong to another era, and i can only hope that i am wrong.